Charlton Heston | 50 Westerns From The 50s. 50s Westerns Blu-Ray News #242: The Big Country (1958). 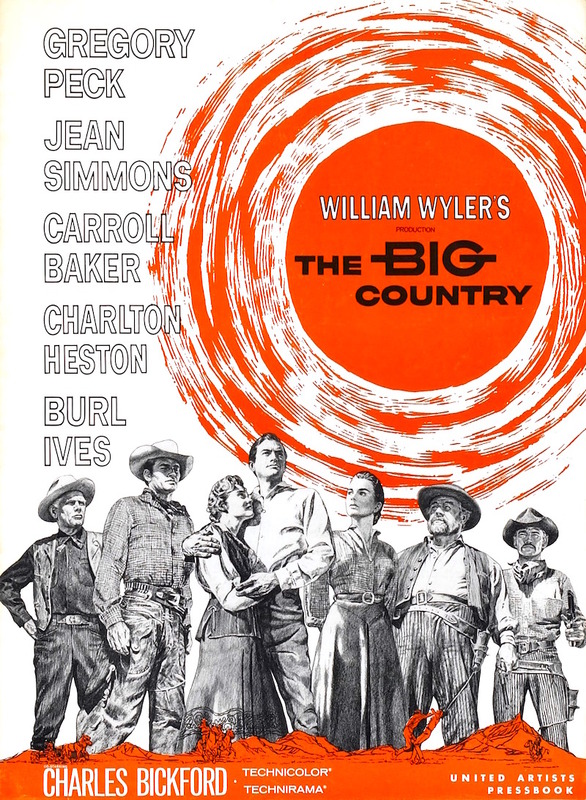 The Big Country (1958) is coming to Blu-Ray from Kino Lorber with a slew of extras — commentary, documentary, interviews, etc. The cast is a great one. Burl Ives won an Oscar for his incredible, and incredibly mean, performance. But, to me, Chuck Connors steals the picture — he’s absolutely perfect in a complex, tragic role. Franz F. Planer’s Technicolor and Technirama cinematography is beautiful, offering up stunning vistas that live up to the film’s title. The opening credits were created by Saul Bass, and the score by Jerome Moross is one of the best to ever grace a Western. The old Blu-Ray was a huge improvement over the DVD, but it had some distortion problems. Let’s hope those are sorted out for this new one. And I hear the stereo tracks still haven’t turned up. 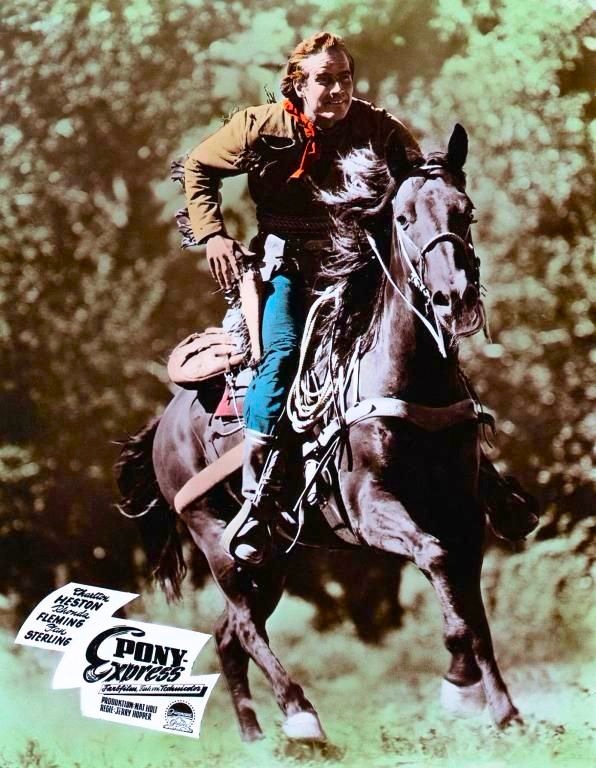 Nat Holt and Paramount beat Google to the punch by 62 years with Pony Express (1953), a cool Western with history re-written by Charles Marquis Warren. 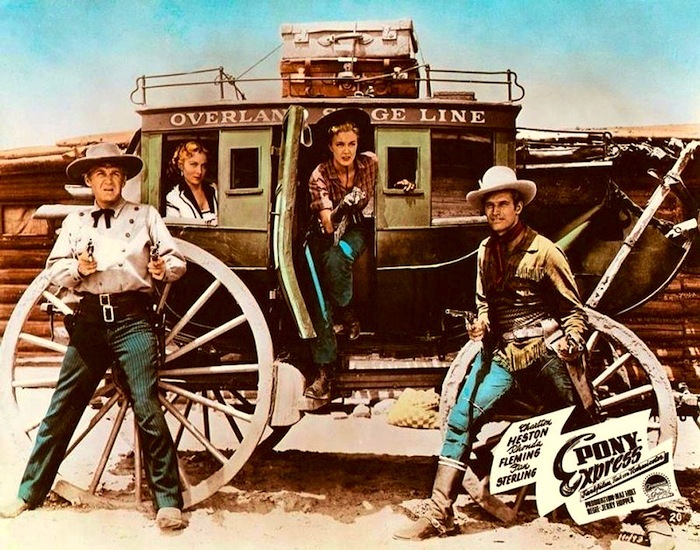 It stars Charlton Heston (as Buffalo Bill, who really rode for the Pony Express), Rhonda Fleming, Jan Sterling and Forrest Tucker (as Wild Bill Hickock). To get the mail through, Heston and Tucker have to contend with weather, Indians, outlaws and both Rhonda Fleming and Jan Sterling taking baths. The action scenes are really well done. Olive Films brought it out on DVD back in 2011. The Casting Of Yellowstone Kelly (1959). 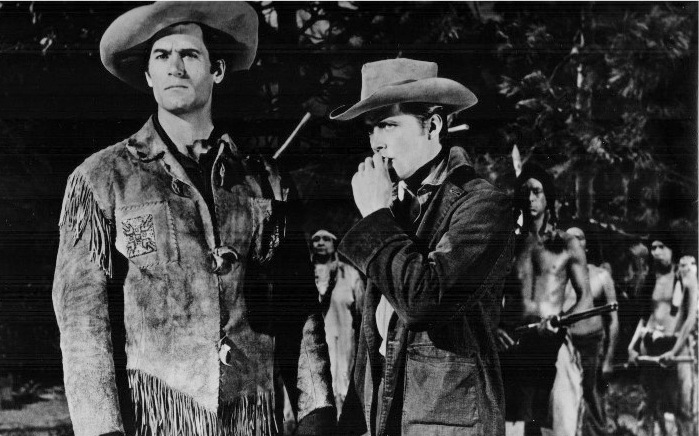 Was looking through some old issues of Variety (while working on my One-Eyed Jacks book) and came across something interesting: there was a time when Yellowstone Kelly (1959) was to star Charlton Heston and Ricky Nelson! Of course, those parts went to Clint Walker and Ed Byrnes (seen here). The Real West #3: The First Ride Of The Pony Express. 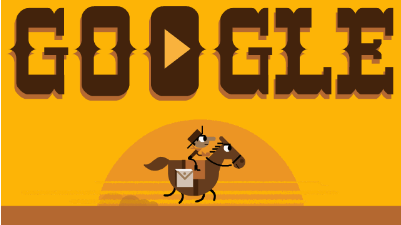 Today in 1860, the first Pony Express mail made its way from relay to relay. Buffalo Bill Cody became a Pony Express rider at 15. By the way, Pony Express (1953) starring Charlton Heston as Cody (and Forrest Tucker as Wild Bill Hickock) will be making its way to DVD later this month.